I’m a big fan of Thai food and have travelled to the country several times. 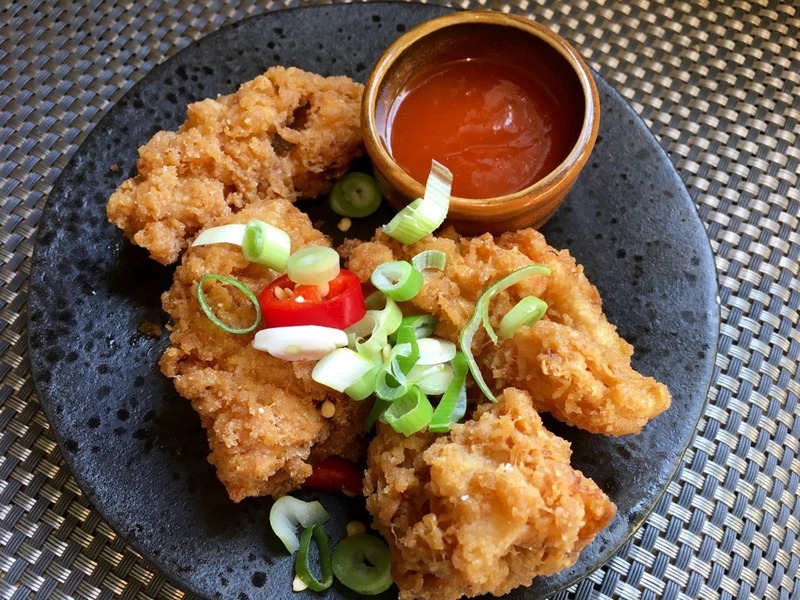 I had heard of the award-winning Giggling Squid Group – the first national Thai restaurant group – who now have 29 outlets around the country, and was interested to see what their take on this Southeast Asian cuisine was and how the intense salt, sour, spice and sweet flavours that characterise the cuisine would translate to an English setting. We went along to The Giggling Squid Tunbridge Wells to find out. We went on a sunny early autumn Saturday lunchtime after a lovely stroll through the town and a peek at the atmospheric Pantiles area. It’s quintessential England – not necessarily the kind of place you expect to find a Thai restaurant. The restaurant was buzzing when we arrived, full of locals enjoying the lunchtime tapas menu. 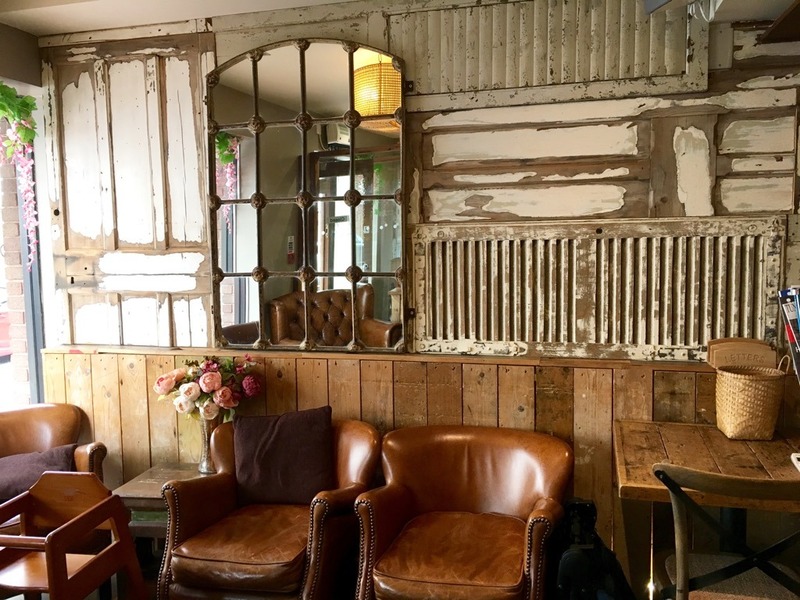 The interiors had distressed wood and brick walls with attractive hanging wicker light fittings and trailing greenery. We started with a couple of cocktails. 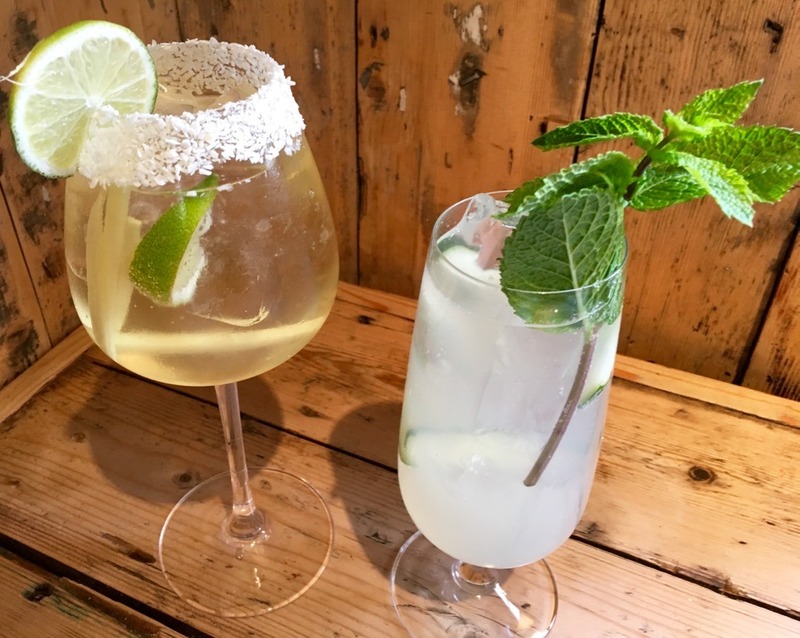 The Thai Coconut was a blend of gin and fresh coconut-flavoured rum with ginger ale and lime – a great late summer drink but quite sweet. The Summer Breeze was a well balanced and refreshing mix of lychee with lime, mint, cucumber and soda. 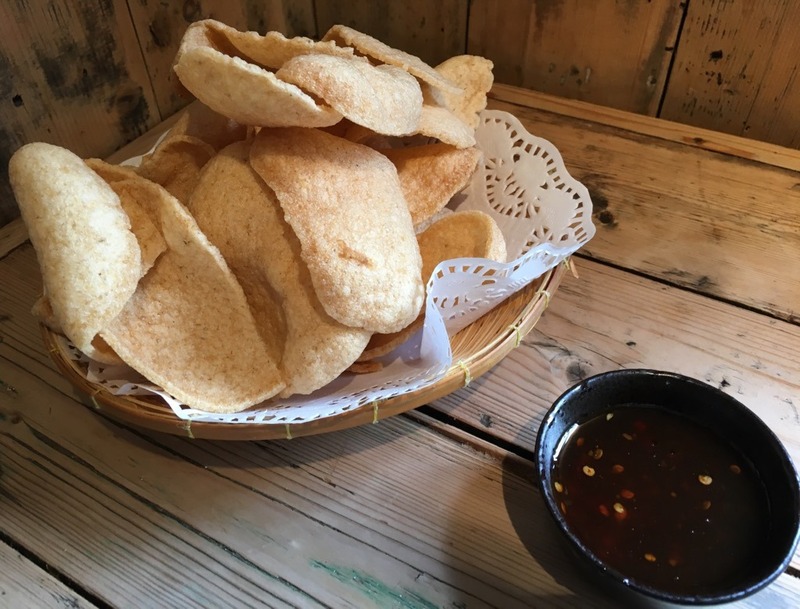 Home-fried prawn crackers with sweet chilli sauce were perfect for mopping up the alcohol while we gave the lunchtime Tapas Menu the once over. On the advice of our charming waitress we went for three small plates and a couple of the larger dishes. My luncheon partner who grew up in Thailand loved the salt and pepper squid which came hot from the fryer. The squid was tender and spicy and the batter crisp and dry creating an absolutely delicious and authentic taste of Thai street food. 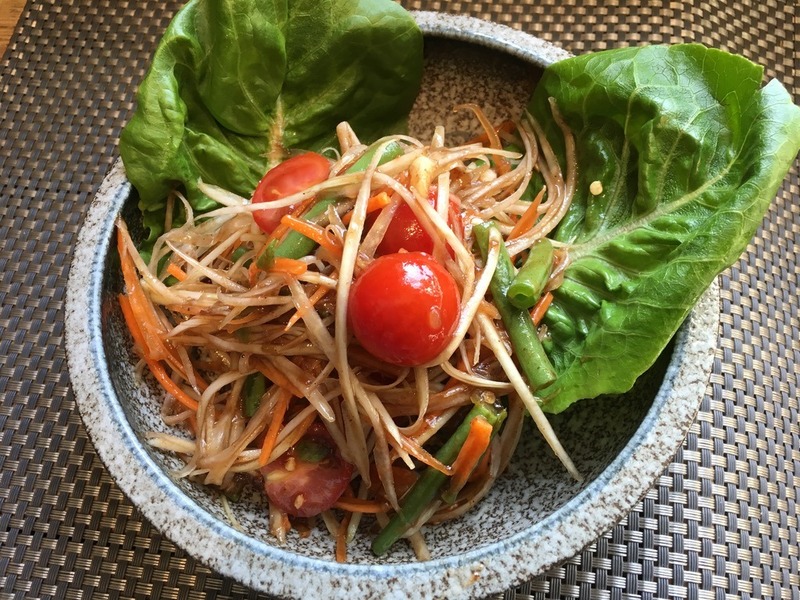 Papaya Salad was sweet and fresh tasting. It was less sour and lime infused than a traditional Thai version but was still a great palate cleanser. 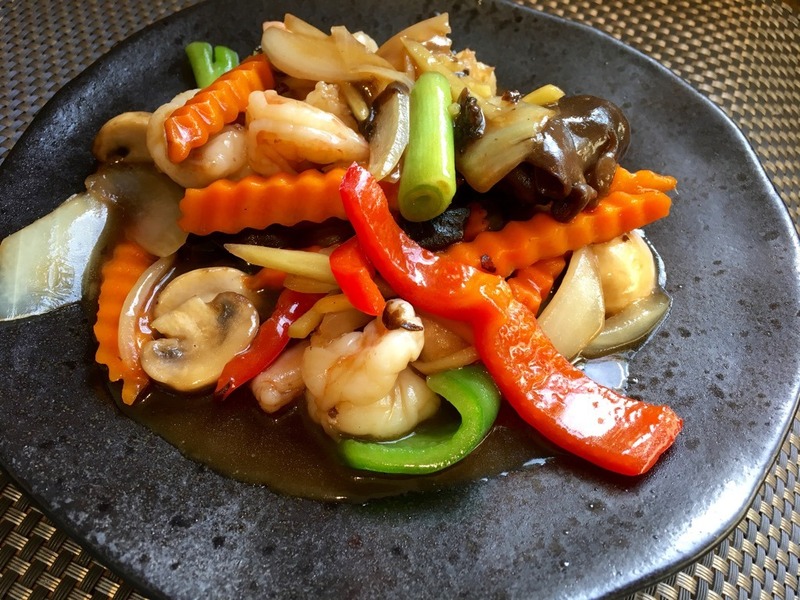 I really enjoyed my plate of juicy prawns, wok-fried with strips of ginger and crunchy veg. It tasted as if it had been slightly sweetened for a Western palate but since the restaurant was full they are clearly doing something right! 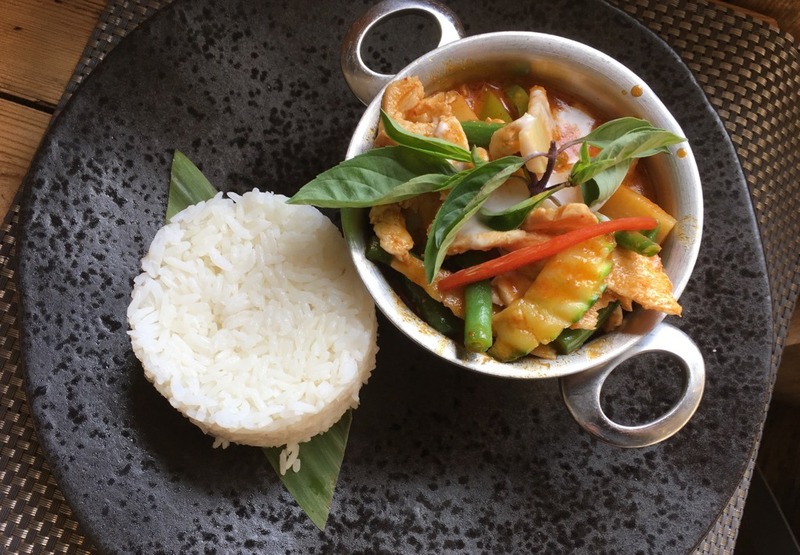 From the One Big Dish menu, we had a creamy Chicken Thai Red Curry served with plain rice. It wasn’t too ‘hot’ and with crisp vegetables was a very satisfying main dish. 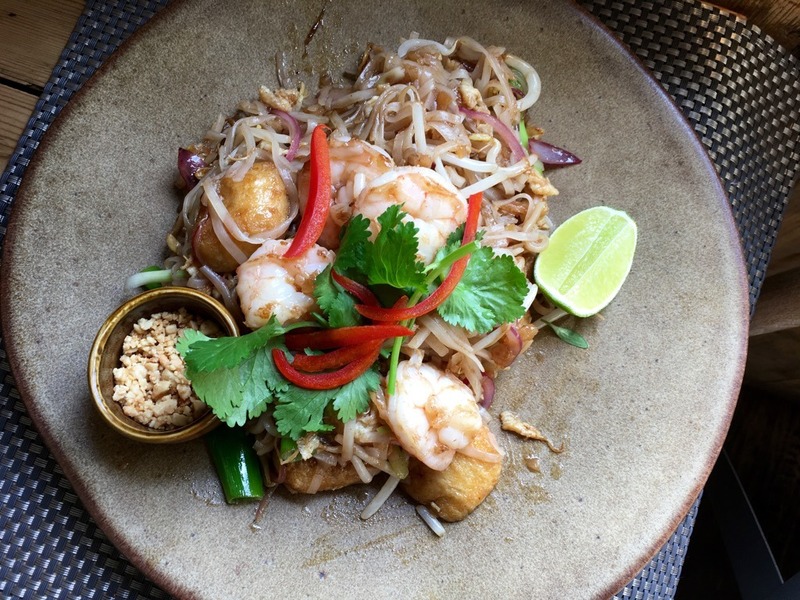 I had to try the eponymous Giggling Prawn Pad Thai. With thin noodles, the crunch of peanuts it took me back to Bangkok, buying a similar dish from the street vendor, served in a banana leaf and then seasoned with your own mix of fish sauce and fiery chillies. 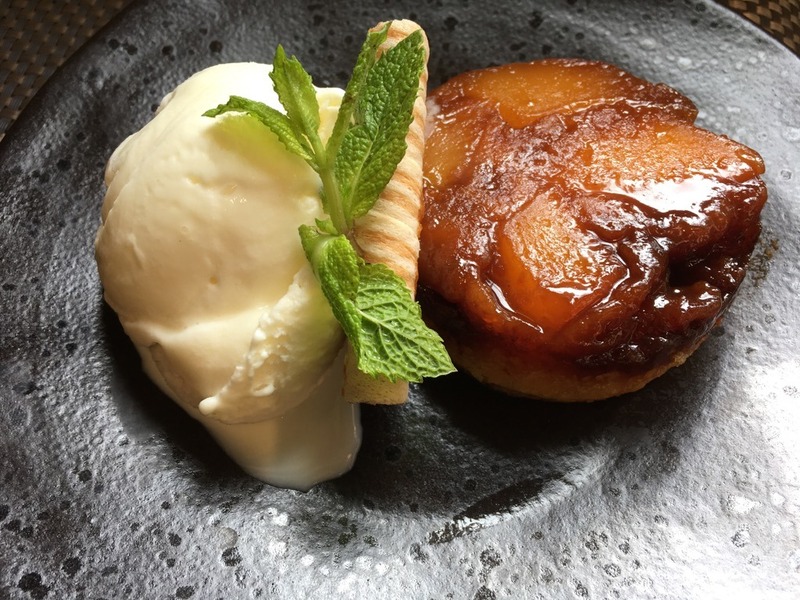 I have never tried a caramelised mango cake before and this was delicious – perfect with a scoop of vanilla ice cream. 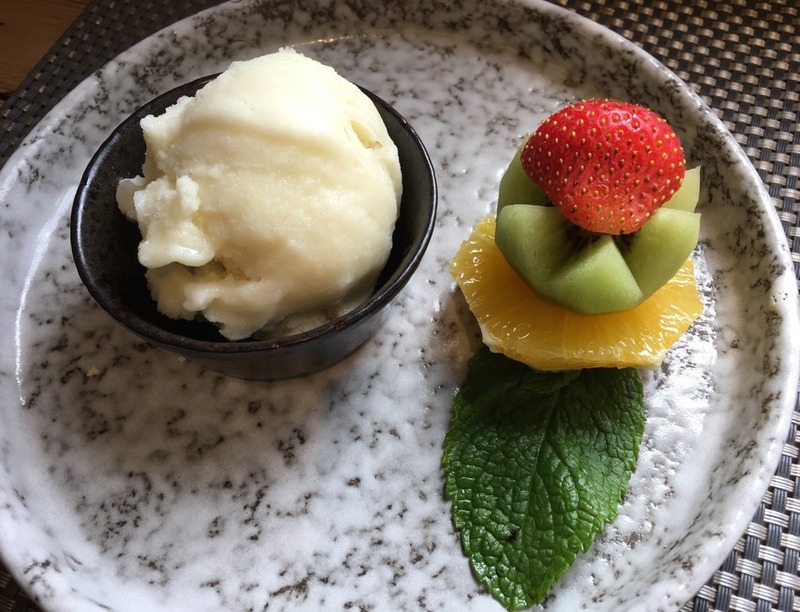 After all the exciting Thai flavours the Mekong pineapple and coconut sorbet was like an iced Pina Colada – a cool and tropical way to end the meal. 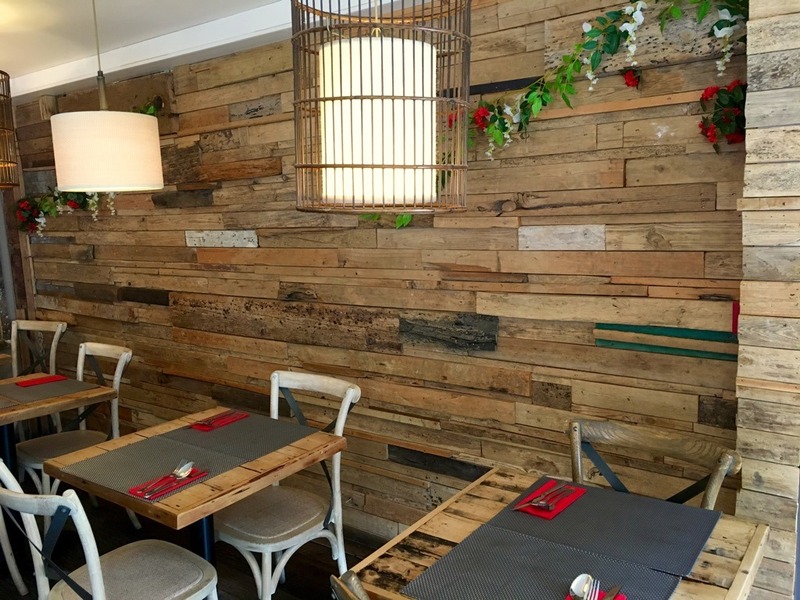 With stylish interiors, friendly service and reasonable prices, The Giggling Squid restaurants offer an accessible way into Thai food. They are great places to go with a bunch of friends and family to have a fun outing with a difference. 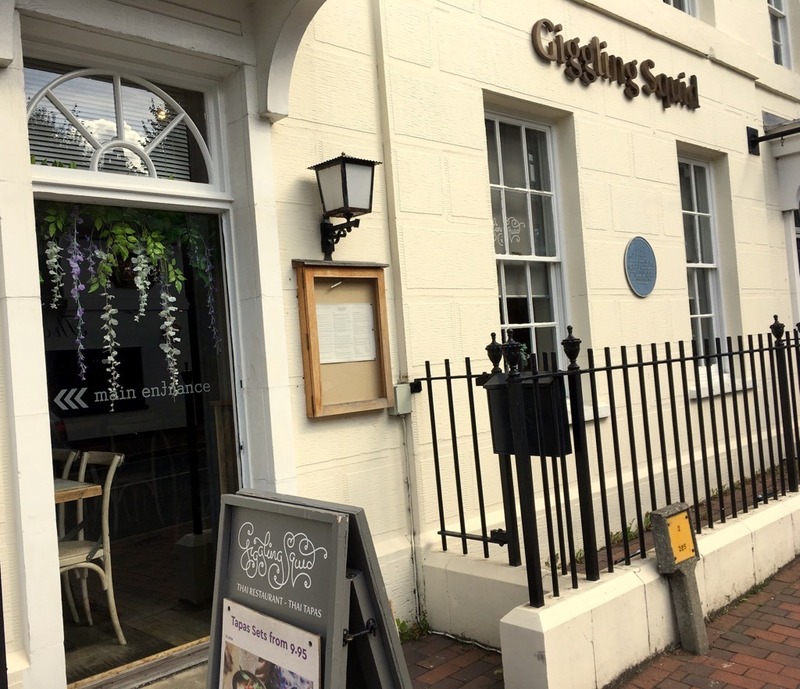 We dined as guests of The Giggling Squid in Tunbridge Wells, but all content is editorially given.